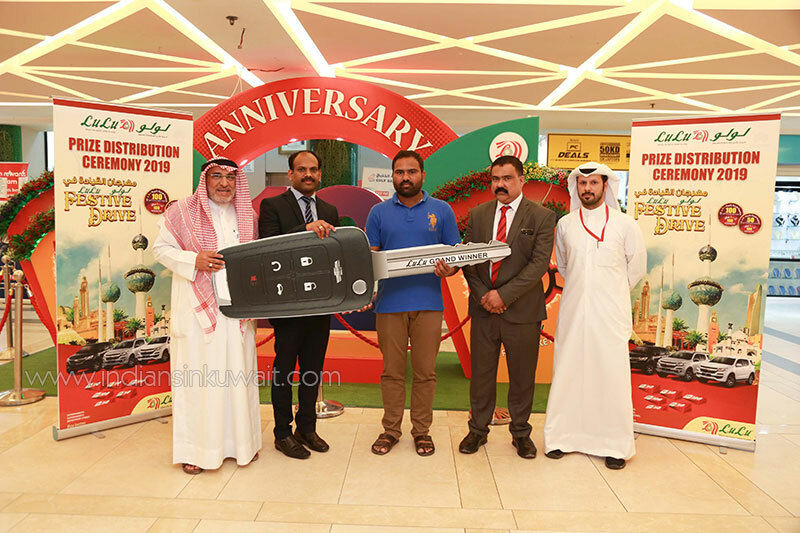 Lulu Hypermarket, the heavyweight among regional retailers, held a prize distribution ceremony on 6th April at their Al Rai outlet, to felicitate winners of the ‘Lulu Festive Drive 2019’promotion. Top management at Lulu Hypermarket in Kuwait handed over the prizes in the presence of a large crowd of competition participants and shoppers. The ‘Lulu Festive Drive’ promotion, which was held from 30 January to 15 March at all outlets of the hypermarket, entitled customers to a raffle coupon for every purchase of KD5 worth of goods. An online draw in the presence of ministry officials was held on 19 March to pick the winners of the raffle. The three top prize winners each walked away with the key to a Chevrolet Trailblazer SUV, while 100 lucky shoppers received gift vouchers worth KD100, and 100 others received gift vouchers worth KD50, during the raffle draw. The holding of exciting Raffle Draws throughout the year as part of the promotional campaign, has allowed Lulu Hypermarket to constantly engage with their customers, and to reward them for their participation with amazing prizes and gifts. These customer-centric initiatives have endeared the hypermarket to shoppers in the country, who already enjoy the shopping experience at Lulu outlets for the value they deliver by providing high-quality products at very competitive prices.